Shutter Shot Blogger Template is another beautiful blogger template which is modified and converted by us from WordPress template. Shutter Shot Blogger Template is a blogger theme is a tumble style post and have very nice use of JS so there is fullscreen slideshow design. This is very nice template with is a very good if you are interested to create your one portfolio blog. 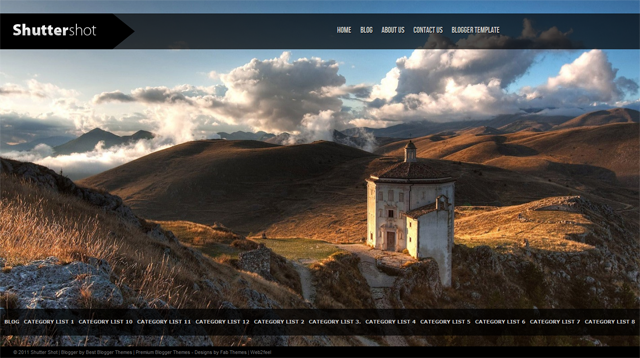 This theme is ideal for photography websites to showcase their portfolio in style.